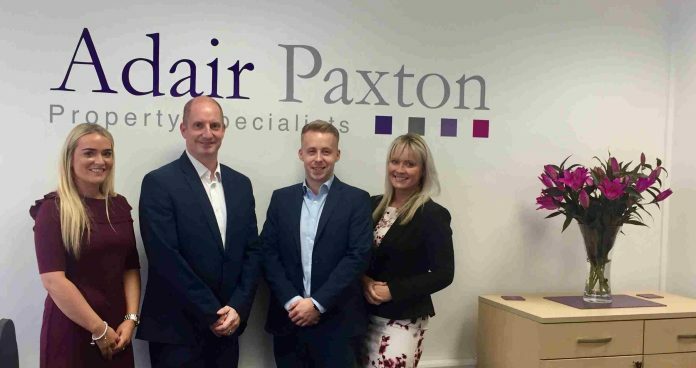 Adair Paxton the Leeds estate agency, a byword for complete property services for more than 160 years, has made an expansive move by opening a new office in Adel. This could be considered a bold move as in recent research, Accountancy firm, Moore Stephens, found “19% of estate agents in the UK currently exhibit warning signs that indicate they are at risk of going insolvent”*. However the spread of Adair Paxton’s business which includes residential and commercial, sales and lettings, agency and management work, and property consultancy, provides a solid and consistent base for this growth. The new Adel Branch will be headed up by Nicola Thompson, Director and Head of Residential Sales. Nicola will be supported by Victoria Illingworth, who has 4 years’ experience working in Estate Agency, and is keen to give the immediate locale and its wider environs the Adair Paxton offer. The new branch has already received instructions to manage the sale of over 100 flats in Leeds city centre, targeted primarily at the investment market. Adair Paxton has branches in Oxford Place, Leeds city centre and in Horsforth, with its Head Office also in Horsforth. The firm’s name Adair Paxton is a result of the merger of some of the longest established firms of chartered surveyors, estate agents and valuers in the region. Both Adair Davy and Paxtons have been based in the city of Leeds since the mid-1800s and merged in 1999 to continue business as Adair Paxton. Nicola joined the company in 2012. She studied Law at Leeds University before starting her career in property, and is also a former President of the Leeds Estate Agents, Surveyors and Valuer’s Association.